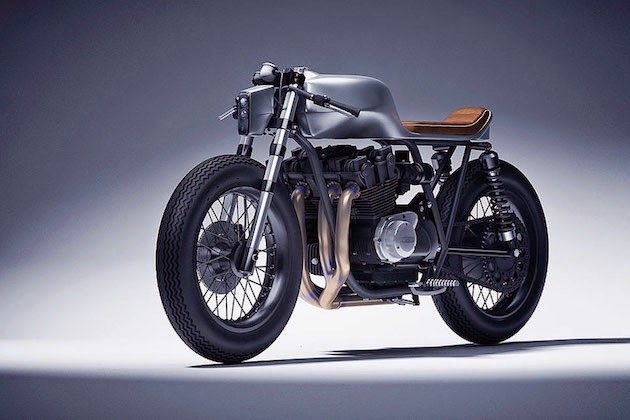 Simple and clean is often a formidable one-two punch. Whether it’s a designer suit or a new haircut, there’s something to be said for making the most out of a minimalist theme. 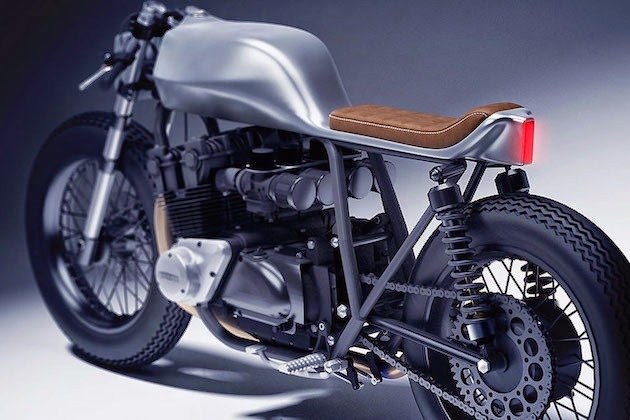 We see more proof of that premise again here with this custom Honda CB1100 by industrial designer Dimitri Bez. 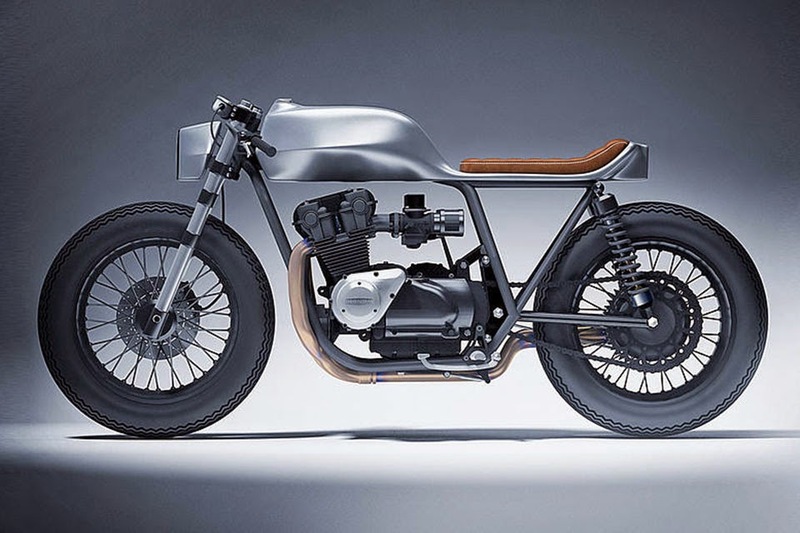 Fusing technical raw elements with clean lines, Bez stripped the engine and exhaust block to only leave the bare essentials. 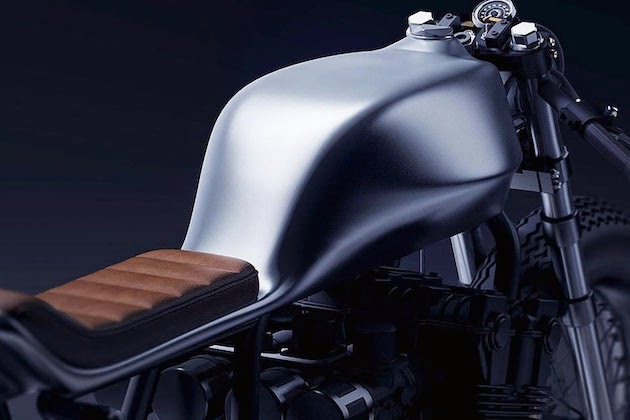 The frame and other main components are finished in matte black and lacquered, while the whole tank and saddle is simply one block of aluminum. 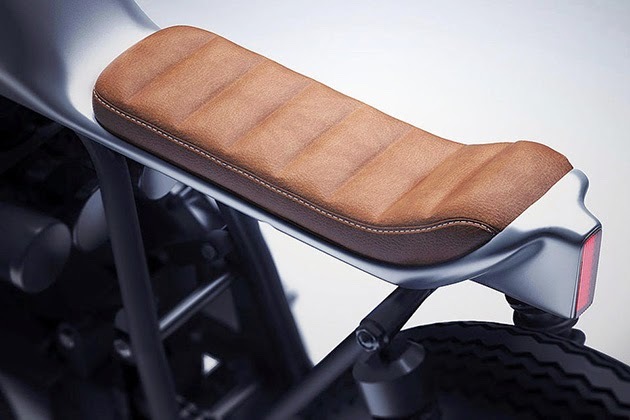 The sparse design gets topped off with a leather saddle that crosses over to the rear light, contrasting nicely with the matte black and aluminum motif.